Have just finished reading Frida's biography, wow she was a great woman. Loving your take on her. I love Frida K. Is that a stencil or digi? 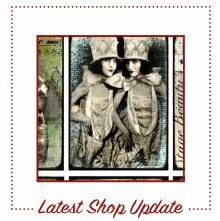 Its a digital collage Deborah,thanks for your comments! 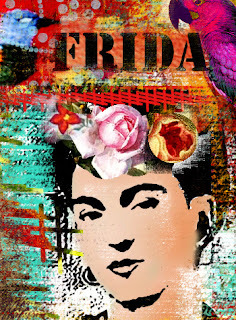 This beautiful piece captures the color and life essence of Frida so well Julia! I too love Frida Kahlo. I have more than 250 Frida ATCs in my collection. Your digital creation is absolutely stunning, Julia! alweer prachtig gedaan, ze is herkenbaar! I hope you are well and that this finds you enjoying your holidays and looking forward to a beautiful New Year!